Midi Clock Bug Fix (There was bug which prevented midi clock to pass though from the second midi input port). Per Patch Volume : This is more for a performance fix, if you change volume of a patch, it will remember that level for that patch until bank is reloaded. 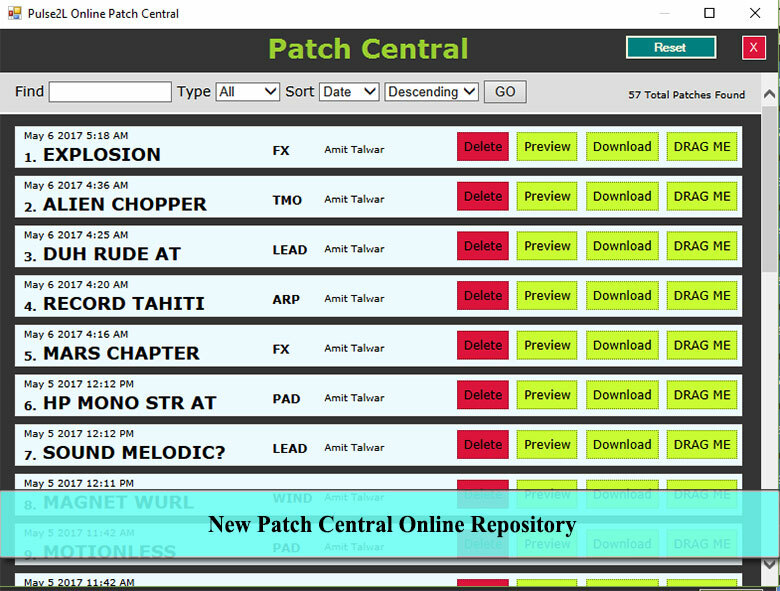 This is so that you can set relative levels of multiple patches when performing. Fixed some patch selection bug. 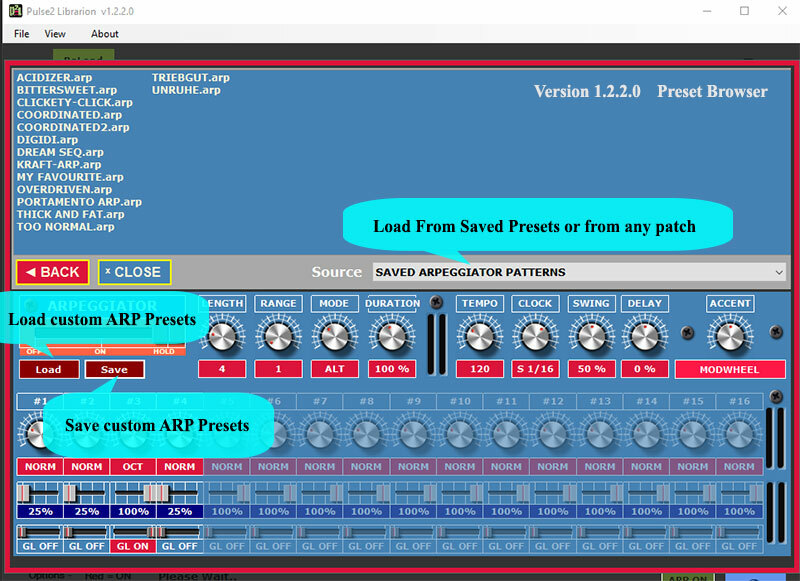 Save & Load Arp Presets or Load Arp Pattern from Any Patch in your Library. Find Patches by Name , Filter Patches by Category, Sort Patches by Name,Date etc. 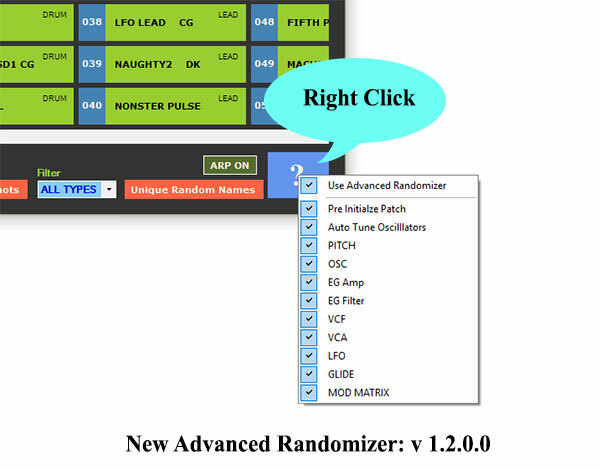 Assign Midi Triggers (CC or Notes) to Patch locations and Instantly change patches though your midi controller. Mainly For Performance Mode. Read More..
Alt + Drag & Drop : Move the Patch to New Location, Making Source Location Blank.